362 pages | 61 B/W Illus. Air cargo is a key element of the global supply chain. It allows outsourcing of manufacturing to other countries and links production in both multinational and smaller enterprises. It has also been the most important driver of certain export industries in countries such as South Africa, Kenya and Chile. As a component of the air transport industry, air cargo makes the crucial difference between profit and loss on many long-haul routes. This second edition of Moving Boxes by Air offers a comprehensive and up-to-date guide to the business and practices of air cargo, with chapters dedicated to key issues such as current trends, market characteristics, regulation, airport terminal operations, pricing and revenues, and environmental impacts. The book illustrates the recent emphasis on mergers at the expense of alliances, which have not had the impact that they had on passenger operations. The section on security has been expanded to assess in more depth the threats to aircraft from terrorists, particularly in the lower cargo and passenger baggage compartments. Surcharges are examined and the book considers whether all airlines will follow the lead of some to do away with both fuel and security surcharges. The book concludes with a summary of the latest industry forecasts. Fully updated throughout, this edition is the definitive guide to air cargo for professionals within both the aviation and freight industries. 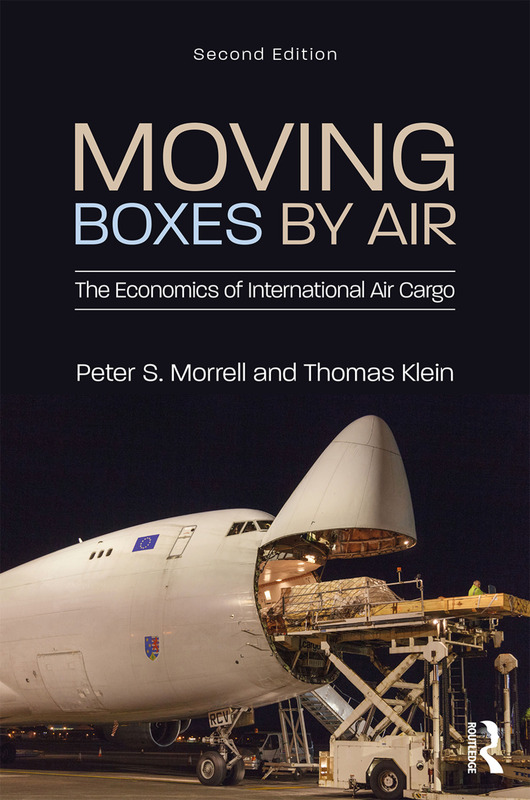 'It is great to see that this book addresses the various complexities of air cargo transportation and gives insights into every aspect of it. It is therefore truly a must-study for those who want to make a career in purchasing, transportation and logistics. The laymen will discover some of the stuff that happens behind the scenes when they click ‘buy’ while purchasing their cell phone or whatever they are buying online from their favourite e-tailer’s site' — Ram C. Menen, retired aviation and air cargo executive, founding team member of Emirates and TIACA. Peter S. Morrell is an independent aviation advisor and a visiting professor at Cranfield University, UK, and is on the editorial board of the Journal of Air Transport Management and Tourism Economics. Thomas Klein is vice-president, business intelligence and corporate controlling at Cargolux, and is a guest lecturer in controlling and air cargo at the International University of Applied Sciences Bad Honnef, Germany, and other universities.